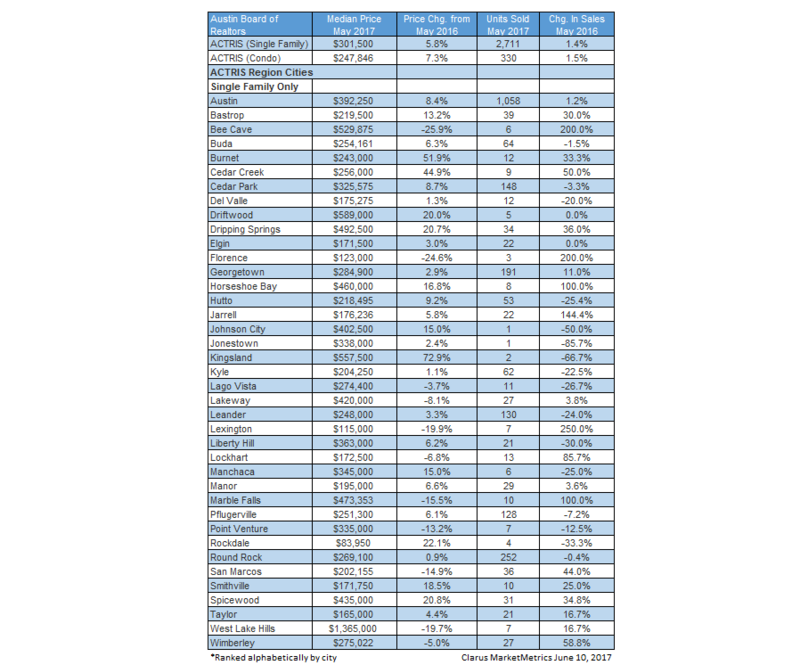 ​​​​​​AUSTIN – ​May 2017 housing ​statistics have been released by the Austin Board of Realtors​ (ABOR) through Clarus MarketMetrics. Existing single-family home sales increased 21.5 percent from Apr-17 for a May-17 total of 2,711 sold units. Condos increased in price to $247,846 up 1.5 percent​​ vs Apr-17.